The most fascinating learning and behavioral neuroscience research breakthroughs in 2017 will shape the way companies and training leaders understand, design, develop, and implement employee training in years to come. Here are 10 of the biggest employee training and learning research breakthroughs that happened in 2017. Researchers at the University of Pennsylvania have discovered a small cluster of neurons in the brain that fires up when a brain pattern is about to change. This discovery could lead to a better understanding of how people create, innovate, and explore. Learning research like this could also lead to better tools for employee training and management. Researchers at Johns Hopkins University found that only one of two popular cognitive training methods worked when it comes to improving memory and attention, a technique known as the “dual n-back” method, that’s related to the Simon game you played as a child. Creative skills that employees bring to work aren’t being tapped as much as they could be, a study from Lehigh University found. Innovation and creativity are key as the U.S. moves away from manufacturing. Art school graduates (along with other employees who define themselves as artists) could be key to helping companies thrive. While there may be such a thing as too much screen time, turns out that video gamers have a learning advantage. 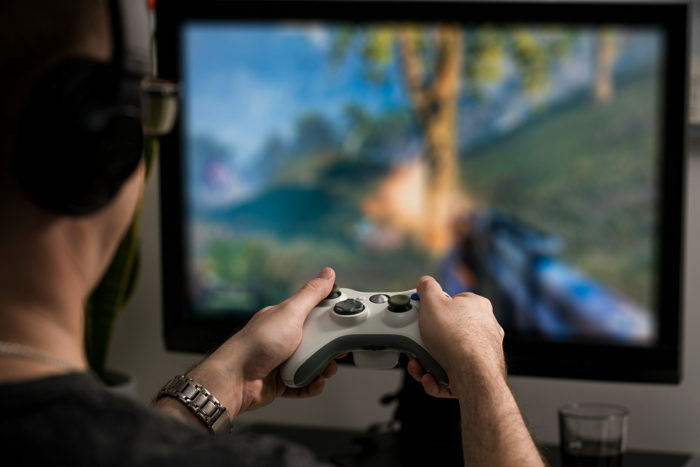 Neuropsychologists of the Ruhr-Universität Bochum found increased brain activity and performance in video gamers when compared to non video-gamers. Video gamers were able to more quickly pick up patterns, make predictions, and incorporate feedback than non-gamers. Another study found video games can actually help improve attention, efficiency, and visual-spatial skills. Brain research has found that video games work on the brain, but learning research indicates that only one type of game really works to improve performance on memory tasks and cognitive control: strategy games. Gamification can be a great learning tool, but researchers caution that oversimplifying which games lead to learning can be a mistake. Strategy games produce measurable positive changes in cognitive performance. While creating a functioning brain may seem straight out of the movies, scientists at The Allen Institute for Brain Science have created virtual brain cells for research and study. These 3D virtual cells were based on a model of living brain cells and will pave the way for even more research on brain development, function, and disorder. Eric Schumacher and his team at Georgia Tech found that people who report frequent daydreaming score higher on creative and intellectual ability and have measurably more effective brains than those who don’t. The smarter you are, the more you daydream. Behavioral neuroscience that offers insight into how people make decisions at work can also point out where unethical behavior originates in a company. Recent research from Penn State found that middle management played a key role in setting the bar for ethics in their companies. When it comes to reaching sales targets and other goals set by upper management, many in the middle of the ladder made moves to preserve their jobs, says Linda Treviño, distinguished professor of organizational behavior and ethics, Smeal College of Business, Penn State. Prioritizing training and development for these middle managers can lead to untapped opportunities for your workforce’s ethical growth. Thinking on your feet is a valuable skill, and a team of scientists at U.S. Department of Defense’s Defense Advanced Research Project Agency (DARPA) used non-invasive transcranial direct current stimulation (tDCS) to speed up the rate of learning in macaque monkeys. This small implantable device increases learning speed and holds promise as a treatment for memory loss caused by neural degeneration. Science fiction suddenly isn’t quite so fictional. Three of these topics deal directly with how we learn and process information, result in learning research that is now, more than ever, designed to work with the brain, not against it. What other insights did you pull from these studies, and how can you see them being applicable to your workforce? Corey Bleich is the CEO of EdgePoint Learning, an eLearning provider at the forefront of training initiatives that benefit the whole company, from the C-suite to front-line employees. As an exclusive content provider and partner with PinPoint Workforce, the first mobile-native learning platform, Bleich is also redesigning how and where employees learn.